At a recent, NSF-funded workshop that was looking at how a new institute might help scientists become better stewards of the software they create for their research, a day was devoted to discussing the entire software life cycle, and the differences between commercial software, open-source, community-led software, and academic science software. A long list to positives and negatives accumulated to describe the triumphs and the pitfalls of each of these arenas for software development. Most of the triumphs were in the commercial software column, and the great majority of pitfalls were common to science software development. That evening, upon reflection, it occurred to me that commercial software was simply very good at determining a target (feature and/or customer) and then hitting this target. It seemed like academic software developers, admittedly working on shoestring budgets only seemed to cobble together whatever feature their next experiment might require, with the result being software that was almost secreted over time (I almost said excreted…) instead of crafted for the long-haul. It struck me—reflecting back on my single skydiving adventure, in the days where you still took your first jump solo on a static line—that my focus at that time had been narrowed down to the single fear of getting out of the plane. I did not want to freeze in the door. Consequently, I seemed to have not paid as close attention as I might to what happens next. As a result I ended up landing in a field away from the airport (upside: I did not land on the Interstate). I hit ground, no problem, and without breaking anything, but I missed the target completely. Again, commercial software developers are firmly focused on their targets, and they make software that helps others find the same target too. To do this they know how to jump and when to pivot in order to land right on that X. When Instagram created its software it focused on the simplicity of sharing photos. Open-source, community-led software tends to lose that target focus, in part because the developer community usually has several simultaneous targets in mind. What they are good at is designing the parachute and the gadgets that help to figure altitude and wind. They make jumping safer and more fun, and their goal is to enable more people to do the same. Getting back to science software developers, these are often individuals or small teams working as a part of a larger project. They wrangle the datasets and finagle some visualizations. They add a button or a drop-down list and call it a GUI. They tell their team how to use it and what not to do so it won’t crash. Then they go ahead and do their experiments and write it up. In software life cycle terms, all they know how to do it jump out of the plane. 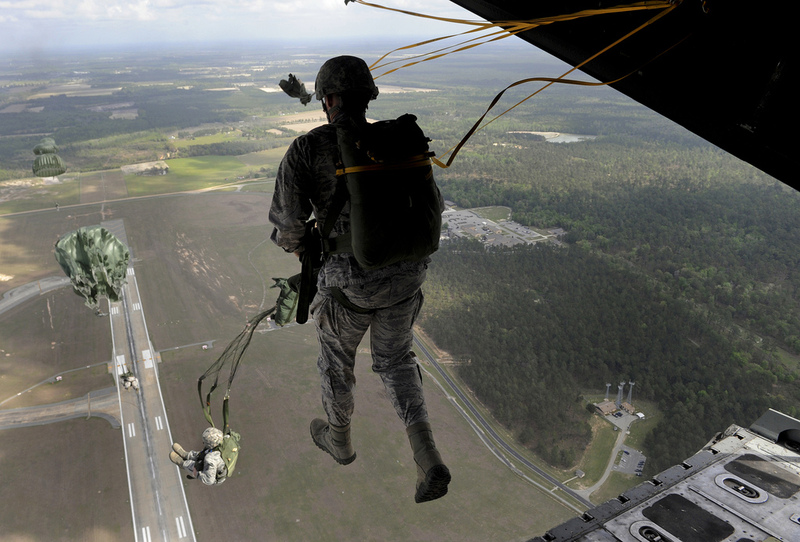 Forget the target, never mind the parachute…just jump. The goal of the NSF workshop was to help design an institute that would support better software development practices across the environmental and earth sciences. To do that, science software developers need to focus all the way to common targets of resourceful, reliable, and reusable software. Do you have some ideas? Feel free to join the ongoing conversation at the ISEES Google+ Community. Posted on October 14, 2013 October 15, 2013 by Bruce CaronPosted in eScienceTagged NSF, science software, software development.